Novel PowrSyringe Designed to Improve Injection Speed and Image Quality While Decreasing Contrast Delivery and Exposure to High Dose X-Ray. HALLANDALE, FL, January 24, 2019 /24-7PressRelease/ — James McGuckin MD, Interventional Radiologist at Vascular Access Centers, Mays Landing, NJ and Paul Isenbarger MD, Interventional Radiologist at Indian River Medical Center, Vero Beach, FL, reported improved injection speed and angiographic image quality using the new PowrSyringe Injector for imaging peripheral arteries. 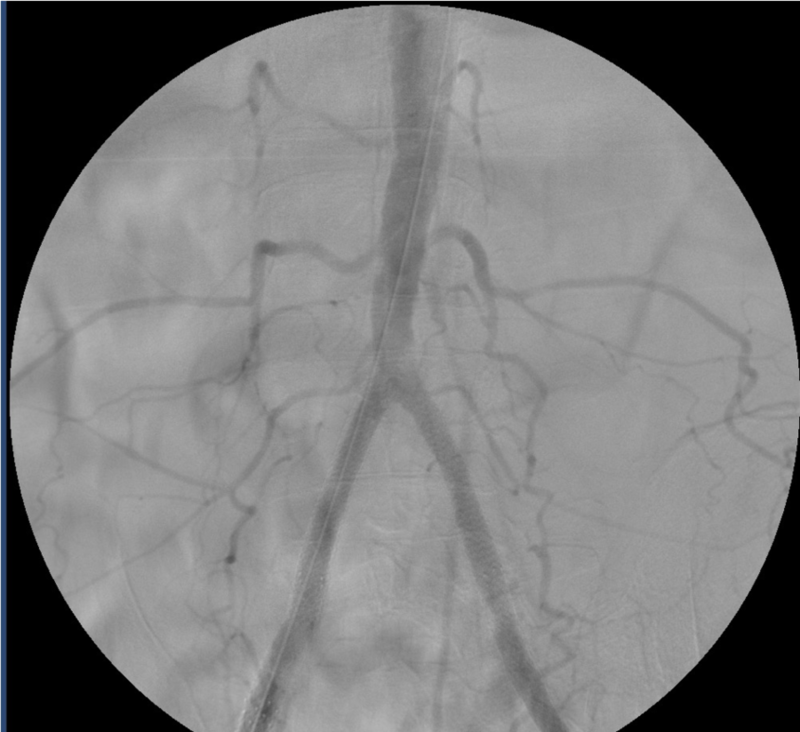 Angiography is a minimally invasive medical procedure performed by injecting viscous contrast media through small diameter catheters into arteries and veins under live x-ray to guide procedures and/or diagnose numerous conditions. Clinicians typically use basic syringes or electromechanical power injectors during angiography. Basic syringes are easy to use, but often lack the power to inject the thick media fast enough with significant volume. Often, basic syringe users need to do repeat injections using more contrast media and x-ray exposure when there is not enough speed to opacify a vessel. Power injectors inject fast and are associated with better image quality, less x-ray exposure, and less contrast media delivery, but are expensive to buy, expensive to use, are complex to set up for each procedure, and do not allow the clinician to “feel” the injection. The patented and award winning PowrSyringe is a disposable hand-held injector with ergonomic handles to provide a mechanical advantage during fluid injection, balloon inflation, and discography. PowrSyringe Technologies is also developing the AirTight Control Syringe designed to eliminate syringe – catheter air leakage. PMT Partners LLC has developed a handheld angiographic injector that brings injection innovation and improved speed, quality and safety.